Warm, humorous and completely irresistible. The perfect Christmas treat! 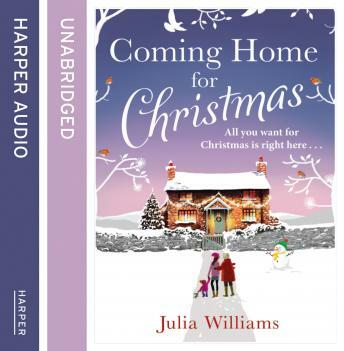 The perfect festive treat for fans of The Archers, Carole Matthews and Veronica Henry. Cat needs to get off the 'has-been' heap and rescue her flagging TV career but the demands of her extended family are reaching fever pitch and she barely has time to breathe. Meanwhile, Pippa has got too many balls to juggle as a struggling single mum trying to hang on to her family farm. And Marianne's marriage is looking distinctly rocky now her beloved husband's ex is back on the scene. But Christmas is a time for miracles, and when the villagers learn they must fight for what they love, it becomes clear that there is festive magic in the air.